Come Enjoy a Weekend For Two! Love is in the air everywhere you look around. If this is what you are looking for this Valentines Day, what better way to get romantic than to snuggle up in New Hampshire. NH has many fabulous options for getting amorous. Visit our suggestions below. Ask us about NH Romantic Lodging or share your comments. To feature your lodging or dining, contact us. Skiing, Cross Country Skiing, Snow boarding, Skating, Horse-drawn sleigh rides,Snowmobiling, and Snow Shoeing. Or perhaps you are more of an inside person? Try a roaring fireplace, a two person Jacuzzi, a good book, a museum, shopping, a long winters nap, or a wonderful lodging venue with a great view of the White Mountain or the Sea Coast. Take your loved one out to dinner. Try a romantic Inn, or gourmet restaurant. Try a fun spot with great food and live entertainment, Grab something to eat at a local eatery before you try skating, or moonlight cross-country skiing. Bundle up and take a brisk walk along the beach and listen to the winter waves caressing the shoreline. Elegant or relaxed, visit our dining section for ideas from our clients. Many offer their menu and Specials online. Stay at a romantic Inn or Bed and Breakfast many with flowers and a private hot tub or Jacuzzi in the room. How about spectacular views and vistas, shopping and antiquing, stay at one of our featured hotels. Add an element of excitement; ask if they have an outdoor heated pool or hot tub. Indulge yourself with Spa treatments and amenities at a New Hampshire resort, or rent a private home, cottage or condo just for the two of you, and of course many of you will include your family too. For the sport enthusiast, do you both like ice fishing? Just the two of you cuddled up in an ice shanty. Skiing? Watching the sun glare off the new fallen snow as you swoosh down the slopes.Snowmobiling? Create a bit of body heat. Many of our venues are right on the trails. There are many attractions and events happening throughout New Hampshire during February. This makes the Granite State a great place to come and visit! Best of all New Hampshire has tax-free shopping. Tilton and North Conway offer outstanding Outlets and there are many indoor Mallsthat are conducive to winter shopping. Shopping is also a winter sport just for the record. 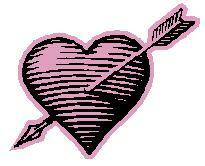 Come to New Hampshire to celebrate Valentines Days and take home wonderful memories.